These were taken by Mike Reiter. We had photography class at Harding High School, I’m pretty sure he got an “A” for this. Opening acts were David Johansen & The Undertones. 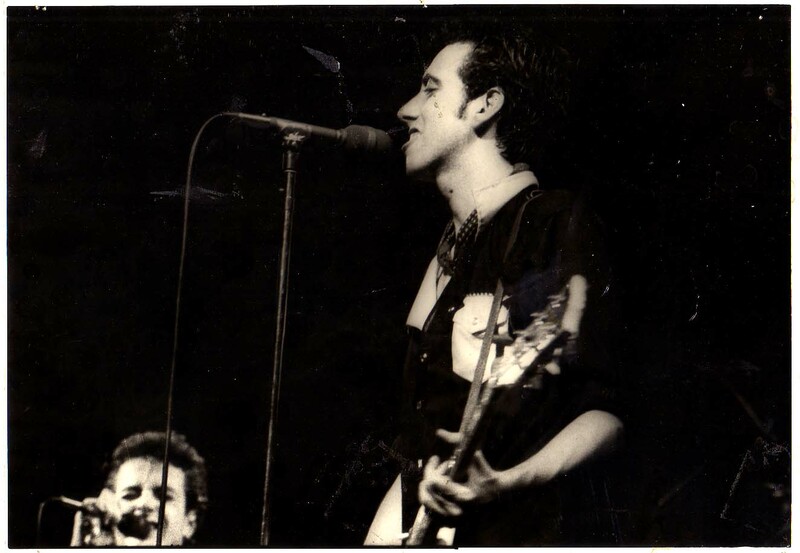 Mike & I were in the front row, and we are in Penne Smith’s book “The Clash: Before & After”. 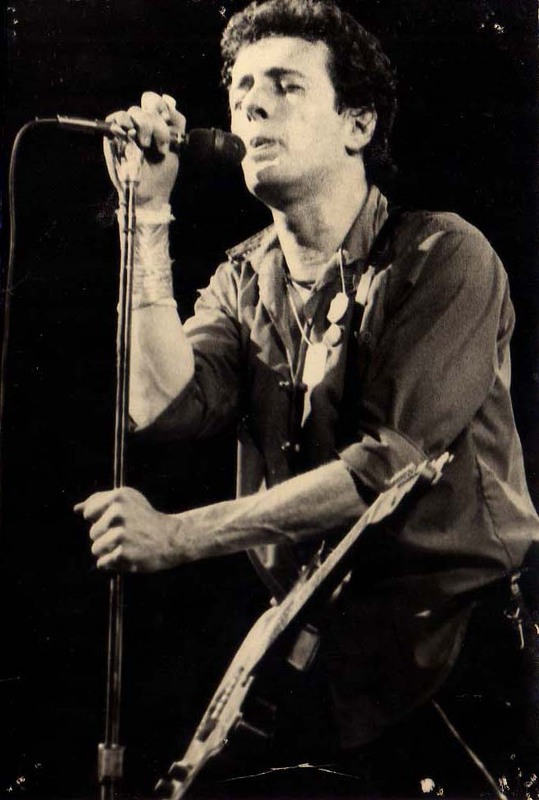 They played a bunch of songs from the then-unreleased LP London Calling, and I distinctly remember being puzzled by their rendition of “Armageddon Time”. 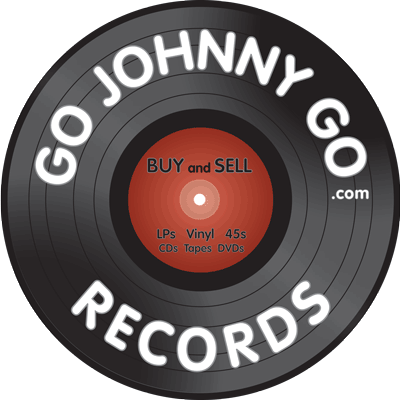 The next day I got to meet the entire band in the parking lot of Sun Ray Shopping Center on the East Side of St Paul. They had stopped to buy liquor & groceries on their way to Chicago, and I just happened to be next door applying for a job at J.C. Penny. Thanks to Mike Reiter for letting me post these. ← Misc big rock star concert & band photos! Awesome story! 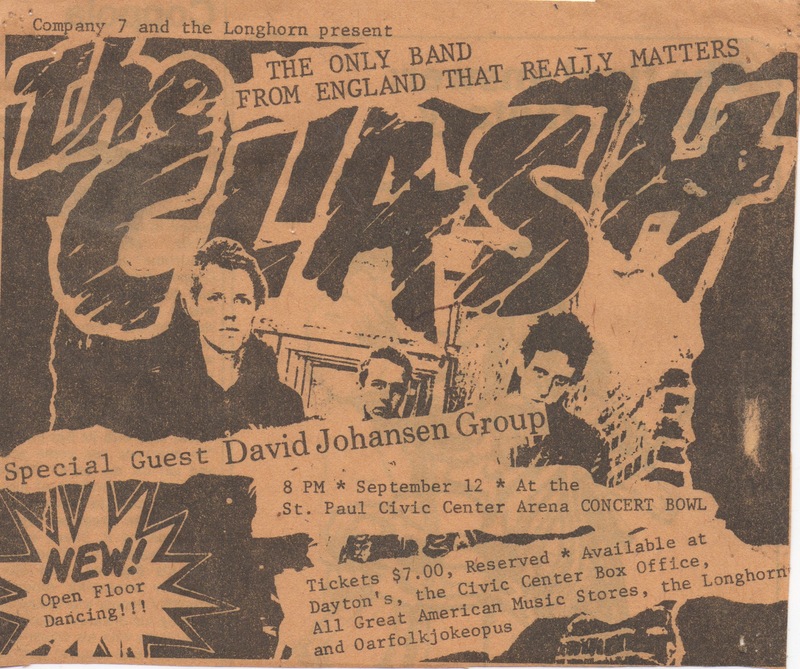 I saw The Clash in Grand Rapids, Michigan on August 14, 1982, just before my senior year in high school. They were my favorite band too. I had illusions of a new decade of youth rebellion and awesome music (boy, did that turn out wrong). Kurtis Blow was the opening act, and the mostly white audience wasn’t hip to rap. There were some racist jerks yelling at him. 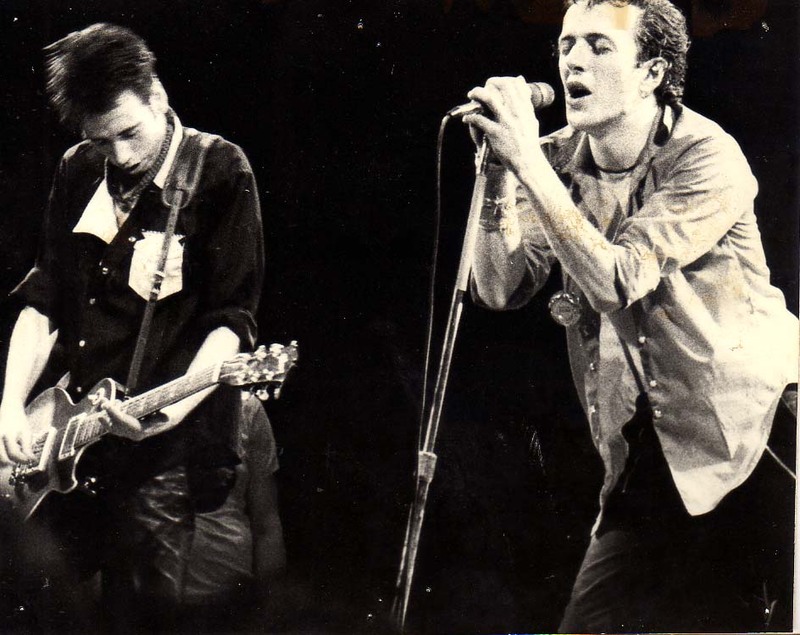 When The Clash came out Mick Jones wore a camoflage net over his face for like three numbers, until Joe Strummer pulled it off and threw it. I was on the floor, pretty close, and the human stink got really bad, jammed in that crowd. After the show I couldn’t find one of my sisters and so my other sister and my friends and I looked around downtown for her. Then we went back to the auditorium where we found out we could go backstage. There was my sister eating from the buffet table and there was the Clash. I was pissed off because we could have been with the band that whole time. Joe was seated in a corner, surrounded by fans, looking like Colonel Kurtz, all mysterious. Mick was holding court, standing in the center of the room. He looked at me so I approached. My idiot friend said, “It was great.” Mick and I waited for him to say something else, and he repeated “It was great.” I started babbling about the situation in my industrial hometown. Soon it was time for the band to go. We headed out and walked a ways out on the bridge over the Grand River. In a few minutes we saw a station wagon pulling away from the auditorium and we could see the Clash inside. My idiot friend started running full tilt at the car. 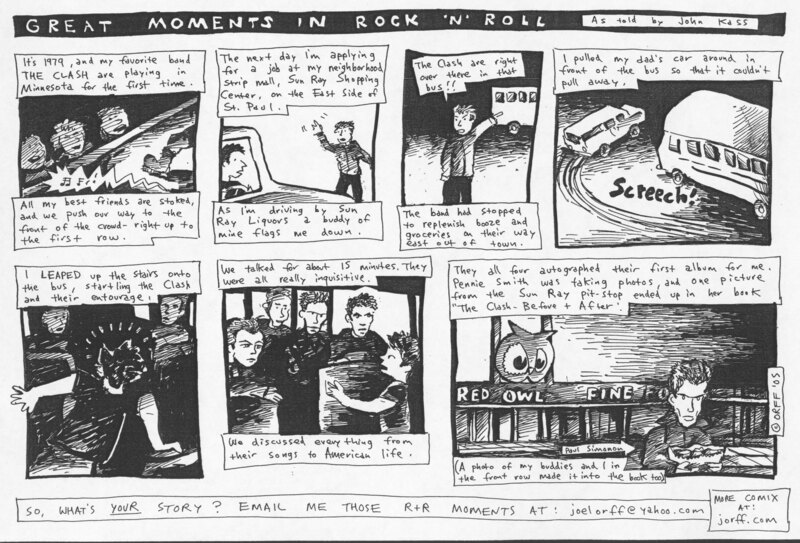 The driver braked, and I can remember seeing Paul Simonon and Mick looking on nervously. My friend suddenly stopped and waved at them, as we all did. The band waved back, and they drove off into history. 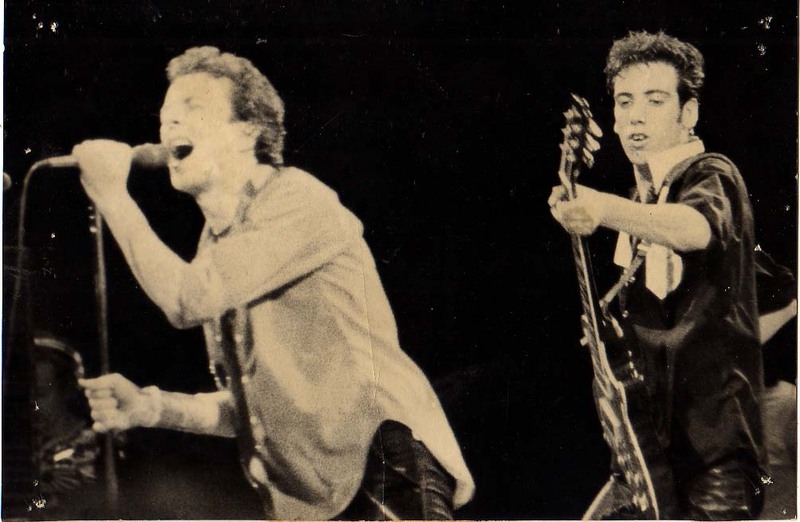 You can download the St. Paul show you saw (and lots of other Clash shows) at http://laconquistadelpunk.blogspot.com/2012/03/audios-de-clash-en-directo.html I read somewhere that it was at that show that the song “Clampdown” was first played to an audience, as far as anyone can tell. Thanks for the pics! I was at this show .. AS AN 11-YEAR OLD!! Thrashing up front by the stage! Hehe.